Back in April I posted photos of shows for razor clams and the purple olive. Since then I’ve been a bit more observant about signs in the sand. Thus, this is kind of an extension of my previous brief post, Shows. A show is unique track or dimple left in beach sand; a signature of the creature buried below. Because tracks, trails and shows are unique signatures, they provide clues about what’s going on on the beach, even if we can’t see the organisms that produced them. Tracks, trails and shows are often best observed in wet sand at low tide; the show of the razor clam is a good example. On the other hand, some shows, like those of the beach hopper, are best found in drier sand high on the beach – up around the highest dry wrack. For no particular reason I have divided the images below into three categories. 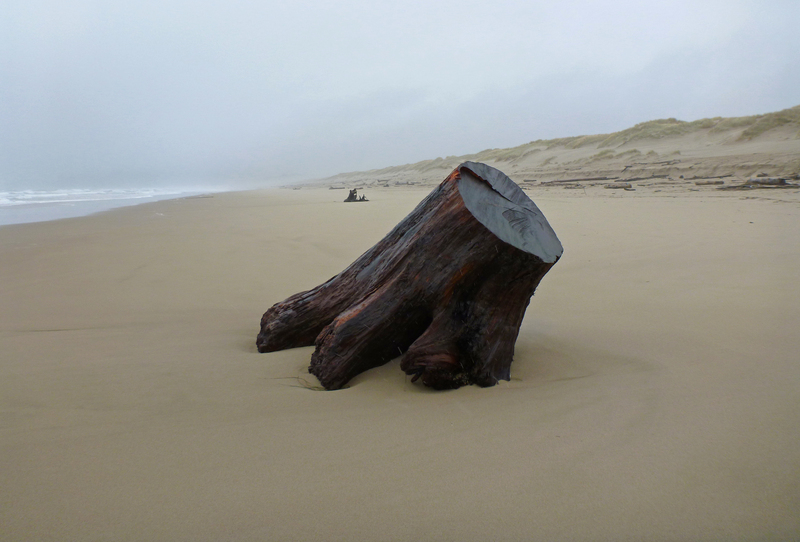 Tracks – These are traces of terrestrial vertebrates that aren’t tied to sandy beaches. The image of the western gull track includes a ctenophore or comb jelly and appeared in the previous TOS post, Comb Jellies. Trails – I include in this group an image of a commonly observed trace I can’t identify. If you know what animal left that trail please let me know. The image of the exposed sunflower star dragging itself slowly over beach sand appeared in the previous TOS post, Sunflower Star, Pycnopodia helianthoides. Shows – These are traces of true beach-dwellers that take refuge beneath the surface of the sand. If you want to see the organisms associated with these shows you can check out some previous TOS posts: Pacific mole crab, Going, Gone; smooth bay shrimp, Camo Rules! ; and razor clams and purple olives, Shows. So far, I haven’t posted any photos of beach hoppers, so maybe this gap will motivate me. 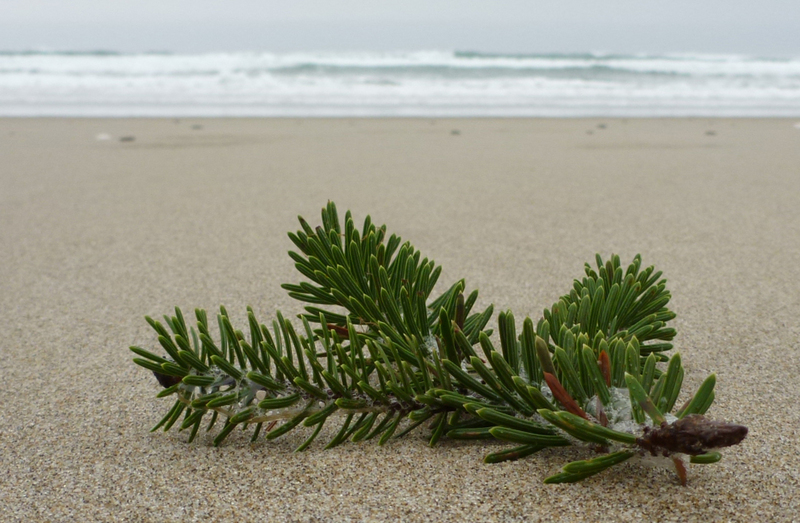 In the mean time, if you need a beach hopper fix, check out Ingrid Taylar’s wonderful photos of the California beach hopper from Mendocino Beach, California.